For many dental patients, enhancing the smile with cosmetic treatments dramatically improve your appearance. Whether your teeth are discolored, cracked, or misaligned, there are a variety of beneficial treatments that can provide you with an aesthetically pleasing look and renewed confidence. Dr. Dennis VanMeter and Dr. Hubbell Williams have over 30 years’ experience providing quality cosmetic dentistry in Dayton. Call our office today to set up an appointment. 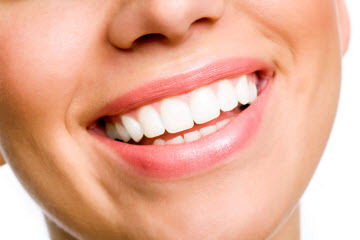 Patients can resolve many dental imperfections by having porcelain veneers affixed to the front surface of their teeth. These thin but durable shells are designed to closely resemble natural enamel color, leaving patient’s teeth bright and evenly positioned. For those with minor to moderate misalignment, Invisalign® clear aligners provide a discreet and convenient way to straighten teeth. The customized, removable trays allow you to address such issues as gaps and crowding without the bulky wires and brackets used in traditional orthodontic treatment. When properly used, the Invisalign trays gently guide your teeth into the correct positioning, while allowing you to remove them when eating, brushing, or flossing. When our patients need to fill in minor chips or areas of decay, composite resin can easily mask the problematic areas. We use tooth-colored composite because the material closely resembles natural enamel, blending in seamlessly with the rest of your smile. Implant-supported restorations complete the dental implant procedure by securing a prosthetic to the implanted titanium post. These custom crafted restorations are made from high-quality porcelain and acrylic, restoring beauty and function. We make sure to present all available options to find solutions that best take advantage of your dental benefits and meet your personal expectations. At VanMeter & Williams Dentistry, we’ve outfitted our practice with cutting-edge equipment and take a modern approach to cosmetic treatment. Our digital x-rays and scanners allow us to take precise images of your teeth and surrounding structures, providing accuracy when performing cosmetic procedures. We consistently seek out more efficient ways to deliver quality care. For our patients’ convenience, we offer same-day crown manufacturing with a CEREC machine right in our office. This saves you from having to wait for impressions to be sent to a separate lab for fabrication. CEREC is invaluable for its convenience, allowing our dental professionals to customize and perfect the final crown in a single visit. Dr. VanMeter and Dr. Williams want to make the smile enhancement a comfortable process that ensures all your aesthetic goals are met. If you are interested in improving the appearance of your teeth with cosmetic treatments in Dayton, call our office today to set up an appointment.